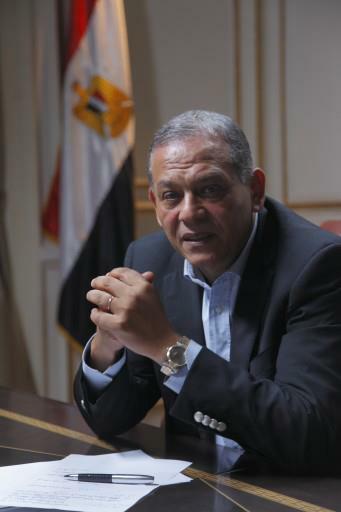 In view of the heated situation in the streets of Port-Saeed and other streets in various governorates and the extreme tension between the police and the people resulting in numerous deaths and injuries, Anwar El-Sadat (Head of the Reform and Development Party) proposed an initiative to resolve the crisis hinged on asking Colonel General Abdel Fattah El-Sisi to call for an urgent dialogue with personalities chosen by the people of the governorates suffering from these confrontations so they can represent them and carry their demands. It should be an open dialogue where the attendees are left the freedom to debate issues as they wish in front of the Egyptian people and through the various media channels. The armed forces must commit to the results and outcomes of this dialogue on condition that the rebels withdraw and stop fighting as soon as El-Sisi calls for the dialogue. El-Sadat assured that the crisis of the National dialogues between the Presidency and any party has turned into a "crisis of confidence" and since the armed forces is now the institutions that enjoy the confidence of everyone so they will respond to its call. We should never leave ourselves victims to the idea involoving the armed forces in the political struggle at a time when it can offer a solution to end a crisis that has been causing a lot of bloodshed. Various attempts have actually started to collect popular proxies for El-Sisi through initiatives made by the citizens as a symbolic expression of their desire to assign the whole Egyptian political matter to the armed forces.